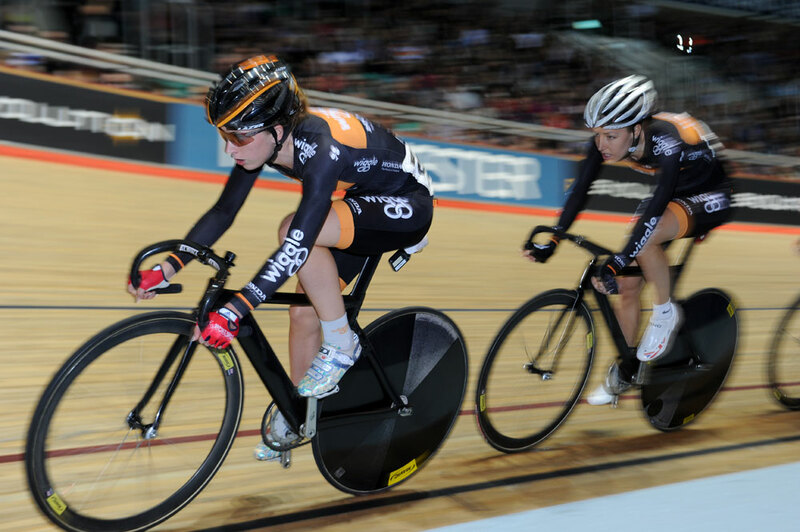 It was an incredible day of racing at Revolution Series round three on Saturday (January 4 2014) in Manchester, with records falling and world-class performances all round. Team Sky’s Peter Kennaugh delivered an absolutely stunning ride in the Points Race in the afternoon session, lapping the field seven times. In the sold-out evening session Ed Clancy and Ollie Wood, riding for Rapha Condor JLT, set a new world’s best mark in the 1km Madison TT. A world-class field descended on the National Cycling Centre with Kennaugh, Clancy, Alex Dowsett, Steven Burke, Adam Blythe riding alongside the likes of Laura Trott, Dani King, Lizzie Armitstead, Jason Kenny and Dani Khan. Team Sky’s Kennaugh thrilled the crowd last season by lapping the field twice: incredibly, he went five times better this time around, gaining seven times on the field, on his way to a dominant victory. 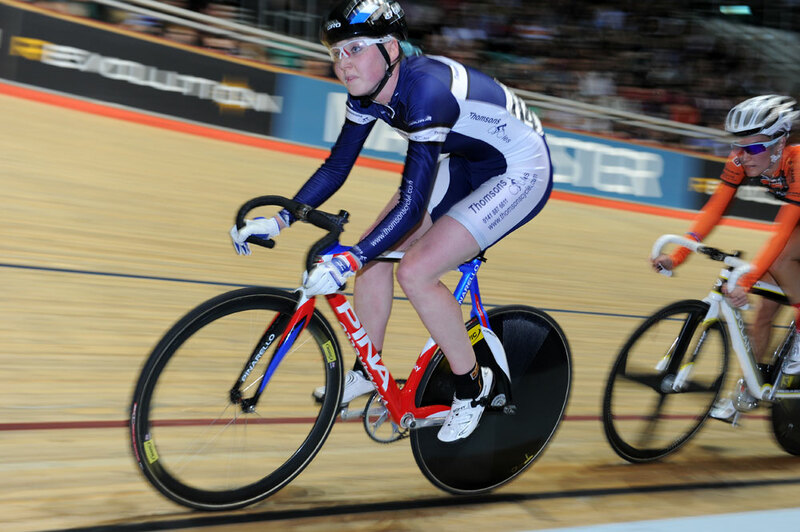 Also in the afternoon, Katie Archibald shone in the Women’s Elimination Race, beating off competition from Wiggle Honda in the shape of Trott, King, Elinor Barker and Joanna Rowsell. Clancy (Rapha Condor JLT) had earlier kicked the New Year off in style with a victory in the Flying Lap in a time of 13.208″. Nico Hesslich (Rudy Project RT, 13.408″) was second as he had been at Round 2 in Glasgow. Ross Edgar (Rouleur, 13.651″) third. In the evening session, the first Elite Championship event on the menu was the Team Elimination Race – a combination of the Madison and Elimination formats. 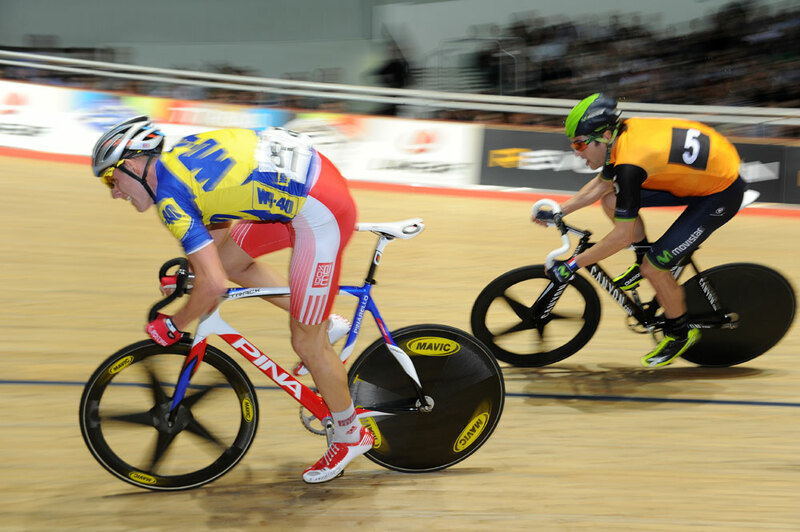 It was the WD40 boys came out on top, Owain Doull and Chris Latham proving too good. 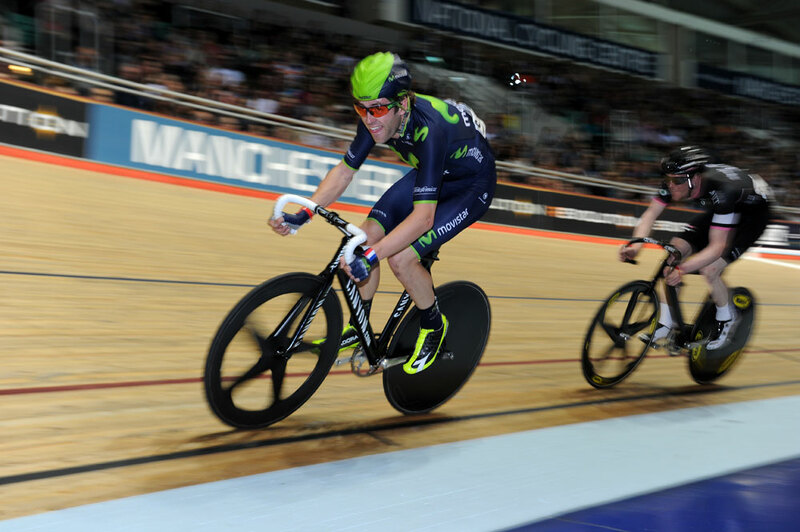 Telegraph All Stars – Dowsett and Blythe – were second, with Rudy Project RT third. Laura Trott raised a big cheer as she took the Women’s Elimination Race, before escaping virtually unharmed from a heavy crash in the Scratch Race, which was eventually won by her Wiggle Honda team-mate Elinor Barker. Kennaugh had set the tone in the afternoon: Clancy and Wood then raised the bar further with a new world record in the 1km Madison Time Trial. 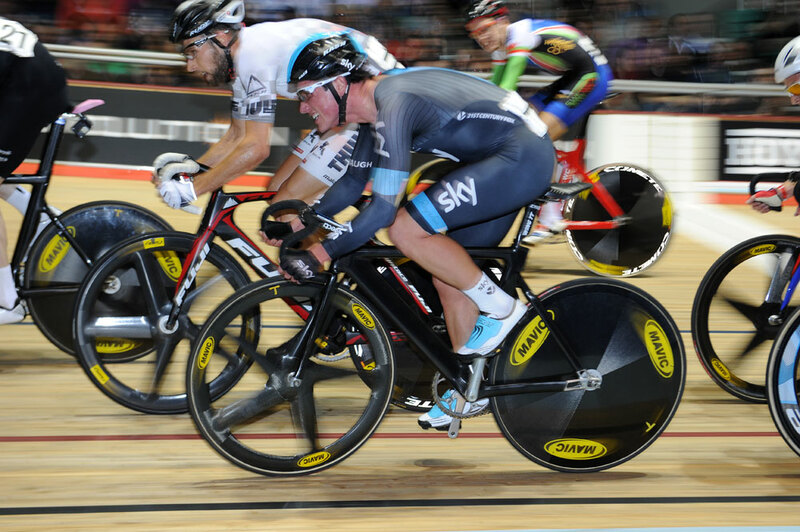 Clancy’s scorching first lap set the pace and they managed a jaw-dropping time 54.537″ – beating Sir Chris Hoy and Arnaud Tournant’s previous record of 54.549″ which was recently voted the best-ever Revolution Series moment by fans. “Congrats lads! Told you a Hogmanay at the Hoy’s is good for your form Ed!” tweeted Hoy soon after, Clancy having celebrated the New Year with Hoy just a few days before. Buoyed by setting a world record, Clancy then won a hard-fought UCI Scratch Race in fine style, just as he did in Round 1 in October. Three-time Olympic gold medalist Jason Kenny won the men’s UCI Sprint final, while Elis Ligtlee of Holland continued her strong form with victory in the Women’s event. UCI President Brian Cookson had been enjoying all the action from track centre, and was on hand to carry out the presentations, with Rudy Project RT remaining top of the Elite Championship table. In the HOY Future Stars Joe Truman and Sophie Capewell both rode strongly to stay out in front of the Boy’s and Girl’s competitions respectively. After the presentations, on-form Kenny added the UCI Keirin Final to his list of victories. Danni Khan won the Women’s Keirin, the penultimate event of the night. 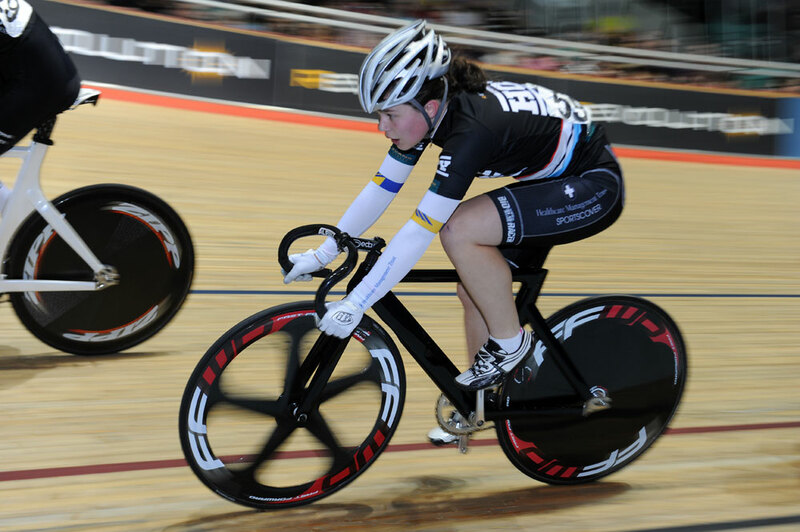 Revolution Series Round four is on Saturday, February 1 at the National Cycling Centre in Manchester before the season finale at Lee Valley VeloPark in London (March 14-15). Television highlights of round three will be shown on BT Sport 2 at 10pm, Tuesday January 7, with repeats, both on BT Sport 2, 6.30pm on Wednesday (January 8) and 1.15pm on Saturday (January 11).